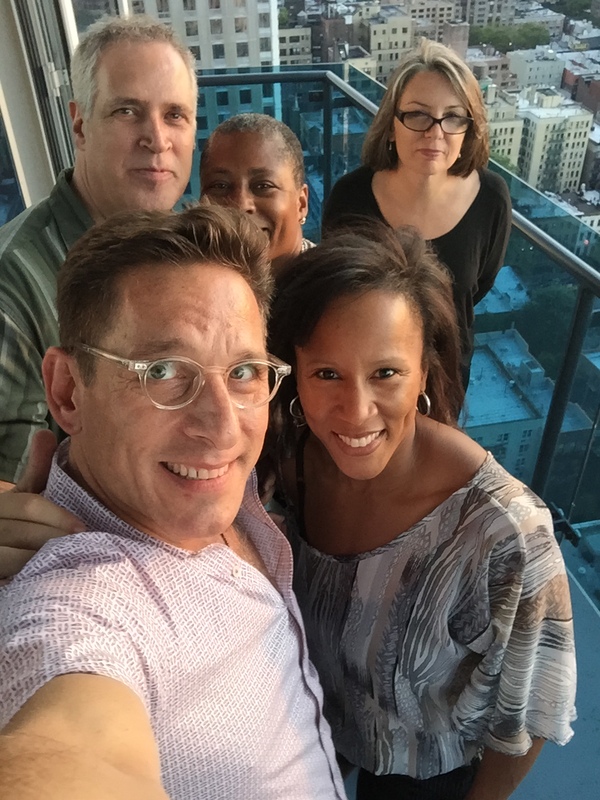 I recently invited some friends over to enjoy great food and a beautiful sunset over the Hudson River. Preparing a meal for friends is one of my favorite passions. I love to plan and prepare seasonal food for people. My friend Anike helped me out and made half of the dishes. She also loves to cook even on her days off as a chef at the Mandarin Hotel in NYC. We decided on a menu that included; delectable zucchini carpaccio with shaved parmesan cheese, fresh sea bass ceviche, cold and spicy strawberry/tomato gazpacho, and pulled chicken sliders with dill pickles. We had a lovely bottle of sparkling dry red lambrusco. For desert we had a wonderful blueberry clafoutis. A clafoutis is a baked French desert with seasonal fruit in a flan like batter which we served with freshly made whipped cream. Judging from the compliments we had a successful evening. Take time out to enjoy your friends with love and good food.